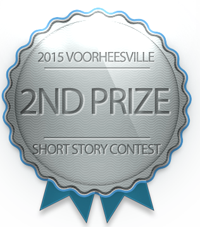 Adriana’s story won second prize in the 2015 Voorheesville Short Story Contest. The warning came in the spring. He had been walking to class, passing the Seine, when he saw the man behind him, the man he had been dreading. There was nothing but silence in the air as he continued to walk, keeping his pace even and steady. He wasn’t scared. This happened to everyone eventually. That’s how the government worked. Anyone who seemed like a threat would be followed, terminated if necessary. He heard his phone buzz and checked it, praying for good news. He waited until he was around a corner before making a run for it, vaulting over a fence and swinging onto a ledge, securing his hair and bag before pulling himself up and onto a low rooftop. Glancing around for pursuers, he checked the roof for the small mark of a rose, which told him that this building was a safe house for people like him. Checking the other rooftops, he slipped through the roof hatch and made his way inside. The woman who ran the house was kind to him, giving him news of who had died and who had vanished. There were twelve last night, mainly students like him. It wasn’t right that young people like him had to be taken away. They could be dead or imprisoned somewhere awful. He knew he would be in the next round to go anyway, he’d find out what happens. It was easy enough for him to slip out of the safe house, finding sanctuary in his classrooms for the day. Though he wrote down his notes and studied diligently, he couldn’t stop thinking about the man from earlier, and the fact his best friend now had a follower too. The government had taken away other people he knew, he didn’t want to lose another friend, especially not the one he had known his entire life. He still remembered the first conversation they had ever had, the one when he had been running and Étienne’s car door had just happened to be open. Étienne had always been there for him, even when others weren’t. Even when his friends started to distance themselves from him, due to the fact he went through a ‘down with the establishment’ phase in secondary school- a phase that he never grew out of. Étienne had been there to patch him up the first time a rally went wrong, and was there to bail him out the first time he found himself in a jail cell. If the government took him, he didn’t know what he would do anymore. With that sobering thought in mind, he shouldered his bag and caught the metro to his usual stop, sprinting into the café he often called home. Étienne was there, as usual, and he had brought all their friends with him. With a sad smile, Étienne pushed him up onto a makeshift speaking platform, so he could be heard. “Friends, they marked me today. I now have a shadow.” His voice never faltered, keeping his eyes fixed on Étienne’s calming gaze. The shouts of outrage shook the room until the very rafters seemed ready to burst and shatter. His friends reacted with mixed emotions, all of them passionate. He took a breath, trying not to panic.This is what I was made for, he mused. I was made for this fight. That spring, his world changed. Summer came in hot on the heels of the tumultuous spring. He was busy every day, usually at rallies. Now that exams were over, he was free to focus on what he did best- rallying the people. Every time he spoke, more and more people were coming to listen to him. Soon, the underground bars and boarded-up warehouses that housed the rebellion filled with people standing shoulder-to-shoulder to hear him speak. Thankfully, the government had more pressing concerns with a new war to the North. That kept him alive- for now. The support was flowing in from every side, and his voice was worn hoarse every night. He knew he needed to convince people to put aside their fear of the government, but it was hard. Ever since the military takeover that happened ten years ago, people were reluctant to speak out. Rebellious attitudes were often met with jail time- or worse- and nobody wanted that. He had to break that silence and force the issue into the open if he ever wanted to get anywhere. He couldn’t mark the point when people found a new name for him. One day, he was simply a student, with nothing special about him, and he was exalted the next. He became simply ‘Rouge’, or ‘Monsieur Rouge’. The name fit him, with his bright jackets and shoes he wore to protests. He adopted the name with honor, and he even began referring to himself as such. The plain white flyers and flags were replaced with crimson words plastered on every street corner and alley. Rouge would see these papers and smile, seeing that his revolution was taking hold among the people. The greatest moment of the cause would happen only a few months later. His speech that night filled an entire warehouse. Seeing all the upturned faces focused on him filled him with a sense of tremendous power, and Rouge had never felt so alive. He called up friends to speak as well, and speak they did. Étienne, being a law student, advised the crowd on natural rights and their rights in case of an arrest; Jacques- another friend of his- translated everything into any language needed. The applause was deafening, and Jean threw his arm around Rouge, grinning. As a new speaker took the stage, Rouge drew the poet aside, to a corridor as dark as the night outside. The week passed, and the elegant words of revolution scattered everywhere. Jean’s poetry was heard everywhere in the country, and even outside of it. The world was now watching the events in Paris with baited breath, knowing any small action could lead to all-out war. Rouge and his lieutenants- what people had taken to calling his friends- worked without rest to try to secure allies. But, no nations would support their cause, even just by endorsing it. The supplies of weapons were low, and morale among the people who were planning the actual rebellion was low. Fall had taken its toll on morale, and now the leaders were faced with a long winter that could spell the end of everything they worked for. Winter brought with it the loss of one of their best assets. Several prominent working-class supporters were captured at a protest, with Rouge and Etienne barely escaping with their freedom. Shaken, many people withdrew their support from the cause. What a bitter winter, Rouge mused, as he walked towards the cafe. Everyone is starting to question us, and I don’t have all the answers. He was snapped out of his thoughts by a hand on his shoulder, and he whirled around to stare into the black visors of three secret police guards. The adrenaline began coursing through his system, and he could feel his heart start to race in his chest. “Can I help you, officers?” He asked, focused on keeping a neutral tone and an air of innocence. Rouge stared for a moment before reacting instinctively, bringing his fist up to connect sharply with the face guard of the first officer. Another blow followed, coming down on the top of the guard’s helmet with a sickening crack. The other guards reacted in kind, seizing him by both arms and holding him still, allowing the guard he had injured a chance to take revenge. The blows to his ribs came in quick succession, leaving Rouge reeling and powerless to defend himself. He began to lash out blindly at the men holding him, loosening their grips enough to allow him to sink to the pavement. Covering his head and face, he picked himself up and tried to outrun his pursuers, his injured ribs screaming in protest at every step. He didn’t get far. Next thing he knew, there was a sharp pain in his head, and he was falling again, down to the cushion of a snowbank. He saw only gray and black as he fell, and then everything ceased to exist. He awoke with a pounding headache, easily the worst of his life. Opening his eyes, he saw Étienne and Jean standing by his bedside. Both of them shared a laugh at that, knowing that their friend Pierre- the medical student and hypochondriac of the group- was quick to panic over even a paper cut. “Merde!” Rouge sat up in alarm and instantly regretted the action. We’ll still make it?! He wouldn’t deny, he was worried. After New Year’s, the planning officially began for the revolution. Ammunition and weapons were procured; Étienne and Pierre held self-defense and medical tips classes for protesters. Rouge organized everything, down to the time of day, and spent every waking hour preaching into a megaphone. He spent his nights at the cafe, with war plans, or passed out on a table after too many speeches. There were stumbling blocks, of course, but he removed them from their paths, sometimes with force. He knew he was breaking down, he had seen the signs. The stress ate away at his features, hardening the softness of youth into the edges and angles of a warrior. His eyes turned cold, in contrast to the hot blood of revolution that powered him. Even so, he kept the banners flying. He wouldn’t quit now, not when they were so close to the perfect world. It started suddenly, when police tried to break up a rally. Shots were fired, and the revolution began. Rouge and his lieutenants rallied their troops, leading them in the charge on the oppressors. Some fell, but their numbers vastly overwhelmed the small police forces, who withdrew from the rain of bullets and makeshift bombs. Rouge was carried to a podium by a screaming crowd and worshiped on the altar of freedom. “They’re back! They’re coming!” The yell from a bystander shattered any dreams he had ever had. The police had indeed returned, with an army to spare. Shouting commands, Rouge dove into the fray for one last assault. He soon realized his mistake, but it was too late. 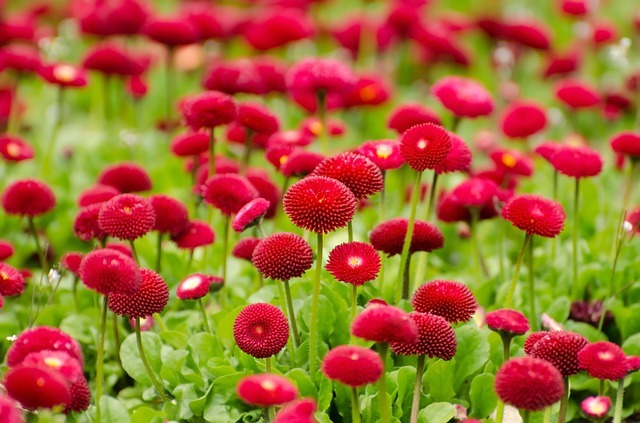 Jean was the first to fall, the crimson roses on his jacket matching the one in his lapel. Pierre was next, caught while trying to aid an injured woman. Étienne, realizing his guns were out of bullets, cast a desperate look at his best friend before collapsing at the base of the podium that was serving as a makeshift barricade. Rouge was backed up to the edge of the podium and held his ground until he too was cut down, falling to come to rest next to his friends. The smoke would clear, soon, and the commanding officer of the police would make his rounds through the bodies. He would come upon the scene presented to him in the center of the square, and he would pause, recognizing a bloodied face. He would know the red leather jacket anywhere, although his own hair no longer matched the golden strands of the corpse’s. He would recognize the boy as Aurélien Durant, a boy who always had to speak his mind. But Inspector Augustin Durant would turn away from the scene, and continue to do his duty. Later, when the night had come, flower petals would cover the bodies of the young people, as their loved ones mourned the loss of so many bright minds. Adriana Brusgul is a junior at Clayton A.Bouton High School.